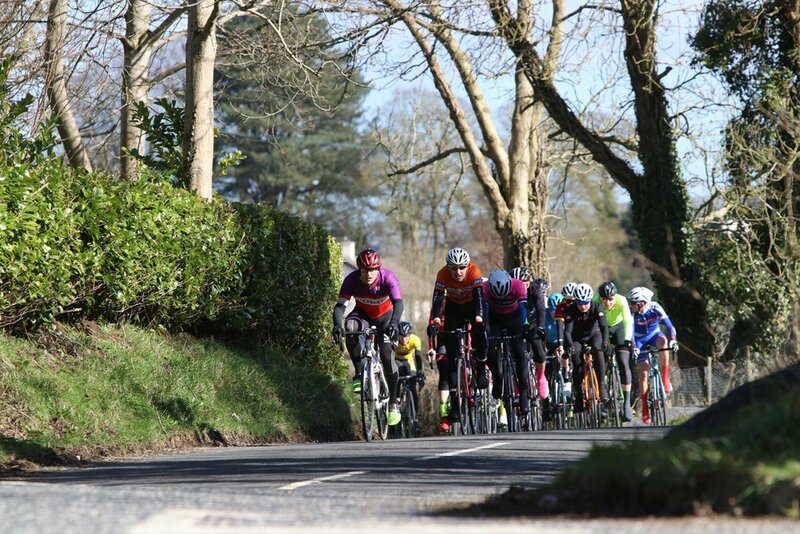 Banbridge Cycling Club will once again open the Ulster road racing season with the Travers Eng Annaclone GP this Saturday, 2nd March. With over 150 riders along with support crews and race officials Annaclone village is expected to be a hive of activity both in the lead up to and following the mid-day race start. Two races will be on offer for competitors; a handicapped race catering for A1, A2 and A3 categories and a mass start A4 support race. The usual circuit starting from the Hawthorn Inn will be used, taking in Richies Bridge before a sharp left through Annaclone Village, Mays Corner and Katesbridge before returning to the Hawthorn Inn via the Ardbrin Rd. The ‘A’ race for A1, 2 & 3’s will be 6 laps of the traditional rolling circuit for a total race distance of approx. 50 miles / 80 km, with the winner being awarded the Eddie Sands Memorial Cup. The ‘B’ race for A4 men and A3/A4 women will cover 5 laps of the same course giving a total distance of approx. 40 miles / 65 km. The Travers family don’t just support the Annaclone event, but are known to ride it too! Don Travers has long been known as a talented competitor on the bike. In addition to the Eddie Sands Memorial Cup for the winner of the ‘A’ race, the 2019 edition of the race will see the introduction of the Travers Cup for the winner of the ‘B’ race. The ‘A’ race has attracted a list of names which will be well known on the Irish racing circuit. Topping the bill will be last year’s winner and international track rider Marc Potts of Omagh and also Chris McGlinchey who has this year signed for the UCI Continental team Vitus Pro Cycling p/b Brothers UK. McGlinchey famously won the ‘B’ race at Annaclone in 2015 before taking the Irish scene by storm. Shane Smith, above, is a previous winner of the A4 race at Annaclone and has gone on to represent Leinster at international level on numerous occasions. He can be seen above bridging to the break in the ‘A’ race in 2018. They’ll be joined by former An Post professionals Angus Fyfe from Omagh and local man David Montgomery of Dromore. Another former An Post professional, Ronan McLaughlin, will head the newly formed Team Dan Morrissey-McCarthy Insurance Group squad and count Banbridge’s James Curry among his team mates. Following a strong couple of years based in France, Curry will be keen to produce a noteworthy result on home territory. Another Banbridge resident, Lindsay Watson of Powerhouse Sport, who led the Irish Elite rankings for a considerable stretch in 2018 looks to have maintained his strength over the winter months and will be looking to start the season off well. John Buller is the latest talent to roll off the Banbridge CC production line and joins one of the most exciting new Irish teams in recent years, Team Bioracer-DHL-FR Services. The team has ambitious plans for the year and like many of the spring flowers, they may well come to bloom early this weekend if young Buller gets a clear line to the finish and is able to utilise well known sprinting talent. Multiple National Champion and International Mountain biker Gareth McKee will lead the promoting club's charge, and will be joined in the 'A' race by Banbridge CC team mates Dan Purdy, Simon Curry, Chris Neill, Johnny McRoberts and new signing Aaron Parks. In the 'B' race Peter McBride, Richard McBride and Ian Cochrane will be keen to get some early points on the board with a view to upgrading during the season. Both races are expected to finish between 1:30 and 2pm outside the Hawthorn Inn. Photos courtesy of Sharon McFarland. 2010 winner Thomas Martin of Clann Eireann leads the bunch at Richies Bridge in 2018.